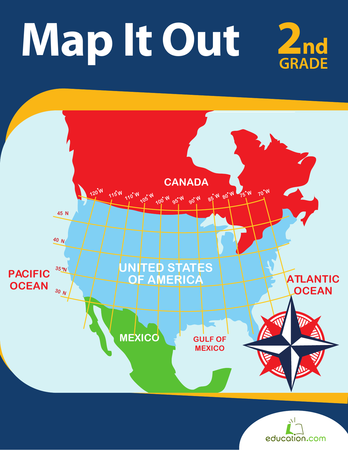 Understanding how a map works is tricky for kids, so why not make it into a fun activity for the whole family? 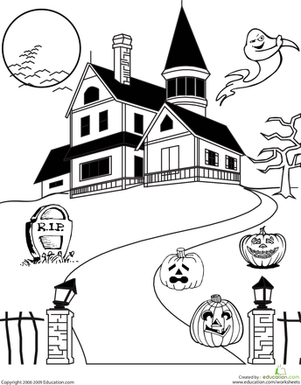 Prepare an outline of each room in your house including doors and windows. Your young cartographer will learn about drawing to scale, puzzles and her own house! 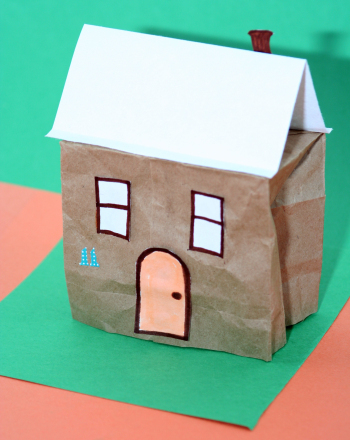 Help your child draw each room in your home on a separate piece of paper. Work on one room at a time, fitting them together as you work so that the whole map can be pieced together. Walls, windows and doors should each be a different colour. When both of you have drawn all the rooms, add one piece of furniture, appliance or fixture to each. This will serve as a clue, so don't make it too obvious. Create a key so that everyone who plays will know which colour stands for walls, which is doors and which is windows. Have your child give a room paper to each player. Let her explain that the players will need to figure out which room they're holding using the map key and their one clue. 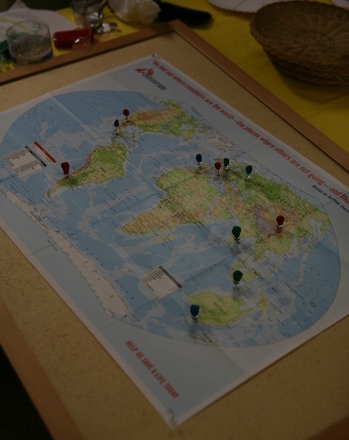 Send each person to their room with their piece of the map and a pencil. Make sure your child plays too! Every player should draw in the rest of the furniture, appliances and other details in the room assignmed to them. Have the entire family fit their rooms together into a giant puzzle. When everyone is done, you will have a unique map of your home.